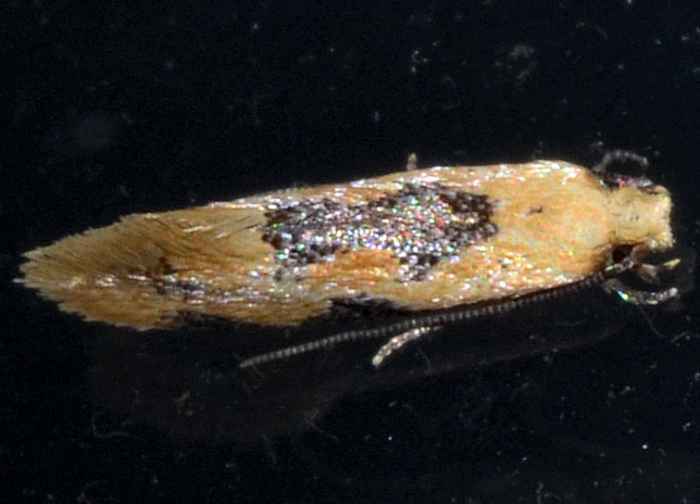 Hybroma servulella - Hodges#300 (Yellow Wave Moth). Size: approx. 3-5 mm. Photo: 07/31/12, 10 pm. This interesting looking clothes moth is Hybroma servulella and can be found in the Eastern half of the US. Not the greatest photo, so I hope to see this small moth again soon.